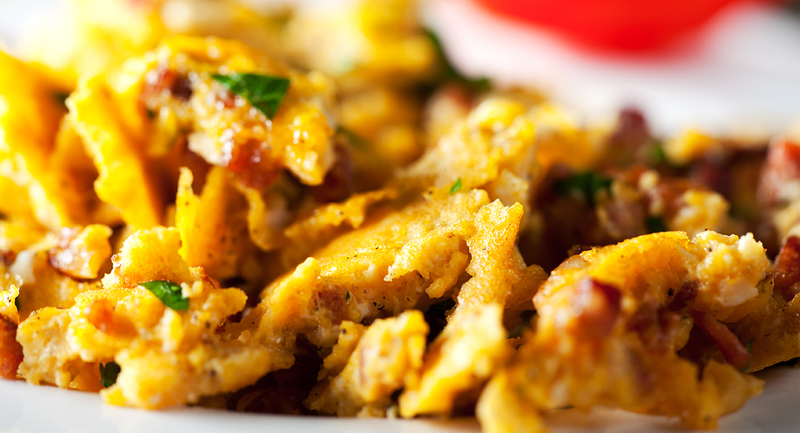 A tasty and filling low carb breakfast that will keep hunger and cravings away. Heat the olive oil or ghee over medium heat in a large frying pan. Whisk all of the remaining ingredients except the sweet potato in a large bowl. Pour the egg mixture into the frying pan and cook, stirring gently until the eggs are almost set. Add the diced sweet potato, stir and remove from the heat.